While our returning athletes are well into their training routine, Freshers Week brought the UCD Sports Expo and the first major event of the season. The club signed up a large and enthusiastic group of new members and was awarded by UCD Sport and Bank of Ireland for their contribution to the Expo. 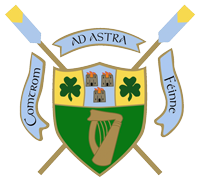 UCD took 2016 National Championships for Mens Club 8+, Womens Senior 4- and Womens Intermediate 8+ but were pipped to the line in Mens Senior 8+ and Mens Intermediate 4+, while also finishing 2nd in Mens Senior 1x, Mens Senior 2-, Mens Intermediate 8+. UCD were knocked out of the 2016 Temple Challenge Cup by American crew Drexel University at Henley Royal Regatta.